A great weave ponytail is always considered an effective hairstyle. Over the years, we have seen many celebs resorting to a weave ponytail hairstyle and rocking the red carpet. Wish for a weave ponytail, but can’t tame your afro? Simply use weft hair extensions! Keep scrolling for a weave ponytail tutorial with the best weft hair extension you can use for it. 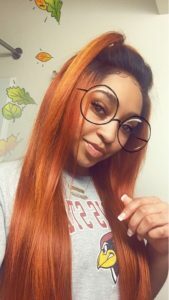 Our choices of weave hair extensions come in a variety of hair textures and patterns such as loose waves, Jerry curly or a straight natural texture. What’s better is that they come in a multitude of beautiful colors so you can easily match your natural hair color. Finish off your look with an amazing natural hair ponytail with ease and style. 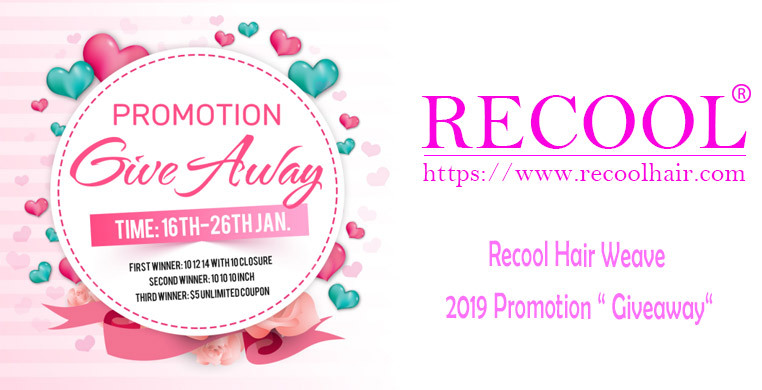 Purchase your next weave hair extensions online with the help of Recool ! A good news, the recool is doing protomotion. The winner will get free hair, winner will choose hair style she want. after you pay the payment, then send your order number to our email. If you want to custom color your Remy Hair extensions, there are just a few simple steps to follow. The first thing to realize is that not all hair extensions can be colored. If you are considering dying your hair extensions you must purchase Virgin hair because it has not been colored before and is natural. Purchasing any other kind of hair is likely to damage the hair because it has already been colored and chemically processed. It is always recommended to have a professional dye your hair extensions for you. To dye your Remy hair, you need to comb your extensions to get rid of any tangles. After combing out the extensions make sure they dry thoroughly. Then prepare the hair color mixture and apply on your extensions. I know wigs has to be maintained properly so that they lasts longer. But I am sharing an information with you so that you don’t need to dye Remy hair on regular basis. I found in a survey that it a best online wig store. You can see this to shop or view it online. We should wash hair ? You should only be washing your Remy hair extensions 2-3 times a week. However, if your hair is curly or wavy and therefore have had curly or wavy hair extensions installed, washing your hair once a week is perfect. We recommend you can buy 3+1 closure or 3+1 frontal. If you buy 3 Bundles With Closure Or Frontal, you ccan change lace closure or frontal to middle part closure amd side part. You can flat the hair in the direction you want closure to fall. As we know, many female will perm hair for beauty, but hair have life too, to perm hair will hurt hair texture. some perple may say our hair have been destroyed, how should we do to fix the problem ? You need to choose shampoo with repair nourishment after perming, then match with hair conditioner. In addition, water temperature cant be ignored, not the higher water temperature, the better. The low temperature water is more benificial with the closure of the hair scale. The water temperature can be higher than body temperature at the beginning, but water temperature is lower than body temperature the last time. Traditional methods are no longer suitable after perming. Female friends need to attention that permed hair have been damaged, not only dry and no luster but also lack of the moisture and nutrition, we need to strengthen nursing hair. When you wash hair every time, you need to use hair conditioner. It’s also a good methods to deep conditioner every week. You need to smear Essence from the hair root to end after washing hair, we suggest smear third repeatedly. 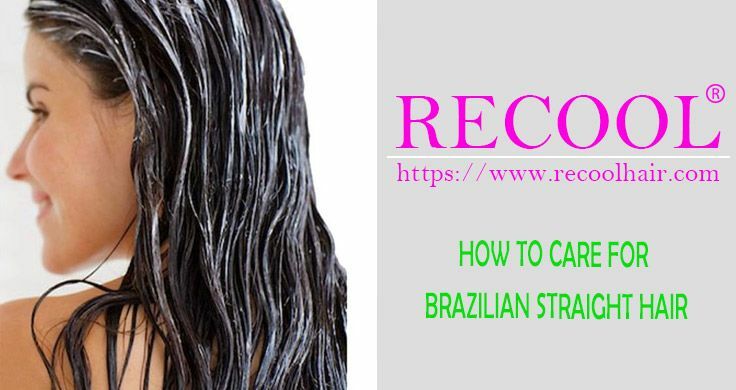 If you stick to about one months, it can make the damaged hair much better, not only can reduce the dryness of the hair, but also can improve hair shine. Some unfrofessional hair stylist guide customer to perm and dye hair for the outstanding achievement at the same time, which is wrong practice. Even though best product also has a little chemical composition that destroy hair, it will effect hair bouncy, hair color and so on. So the perm hair should be carried out after dying hair about one week, carring on deep repair. The heat resistance of the hair is around 80’C. If the temperature is too high, it will blow away hair nutrient content, the hair will also become dry. 3.Use a towel to rub it hard. Because the hair scales just like fish scales. If you rub hair scales hard, the nutrients will be lost, which will cause the hair dry. For example, the family use same care products, Some people have dandruff but use anti-hair loss products, which is incorrect. We should choose correct care products depending on the circumstances. The styling products we use will make hair style stiff, these products contain alcohol, it will destroy hair. Most women opt to long Brazilian Hair as a result of they hold that a protracted charming hair will attract the attention of man. However, our natural hair grows at a slow rate. It’s troublesome to own a protracted hair during a short time. Don’t worry! exploitation hair weave and hair extension is that the best thanks to reach your dream. Brazilian Hair is that the hot sale product in Recool Hair. Now, let’s name it. 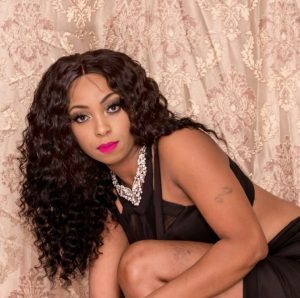 Why African yank ladies opt to purchase low cost Brazilian hair three bundles? 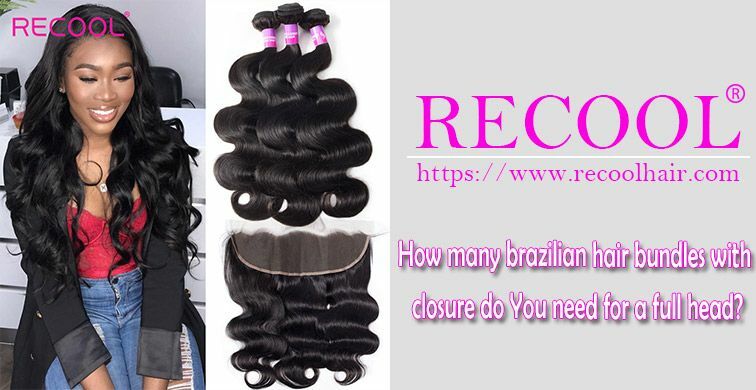 once it involves the Hair Bundles, ladies wish the simplest, Brazilian hair is that the right answer. Many women would purchase Brazilian hair with bundles and a frontal/closure for making their own hair wigs. Not solely it will be colored however can also restyled no matter hairstyle you wish like wavy, permed so on. 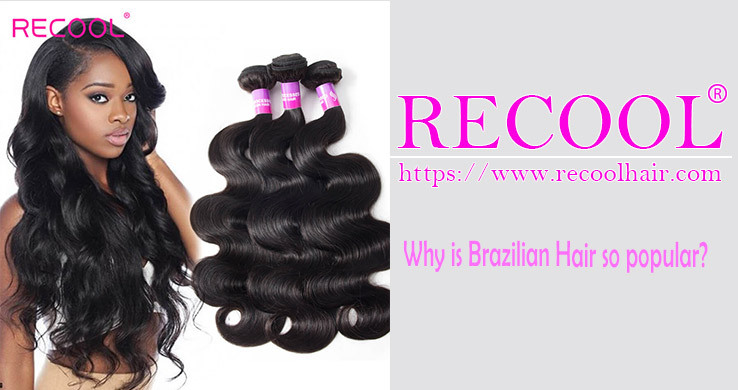 Brazilian hair is that the best hair among the hair product. 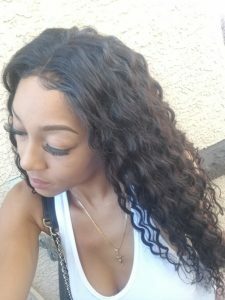 Brazilian hair with bundles is soft and satiny while not shedding and tangle. It’s a lot of natural and delightful than alternative hair. What ‘s a lot of, Brazilian hair will use over a year if you are taking care of it. How to choose the best hair color to match your skin color? When selecting a hair color to line off your complexion, the recent rule of thumb is to match cool shades with cool skin tones and heat shades with heat skin tones, therefore your hair color appearance natural albeit it is a way cry from the shade with that you were born. 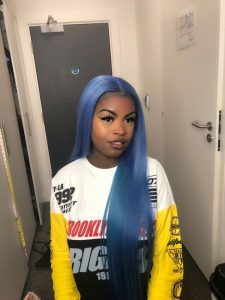 however this rule does not apply to everyone—people with a neutral skin tone will decide on either, and in fact you’ll invariably prefer to color your hair with what you wish whether or not ombre hair, virgin hair or pure color hair. Bottom line: confidently, you’ll mingle something. however if you are speculative “huh, what hair color goes well with my skin tone?” the 1st step is looking for whether or not your skin’s underlying tone is heat, cool, or neutral. we recommend you talk to the subsequent the many ways. If your skin tone is cool…it will have blue, pink, or ruddy undertones. that’s to mention, if you’re appropriate for magenta, blue, navy or black. Your veins can seem light-blue in natural lightweight. you almost certainly like silver jewellery. You tend to burn, that the 1st of the blonde ombre, wood brown, brown bluepurple or honey blonde hair would without doubt be it, if you like personal independence of conduct, you’ll add pink or blond to neutralize scale back transparency, particularly these days, it’s a fashion trends and also the inspiration for unconventional children everyplace. though it’s terribly onerous to regulate, bright reminder golden vibrate onscreen, because of their skin tone-enhancing superpowers, and enticing in therefore shines. If your skin tone is heat…it will have yellow, peachy, or golden undertones. that’s to mention, if you’re snug with red, orange, golden yellow, or viridity. Your veins can seem green in natural lightweight. Gold jewellery is your sort. you’ll arrange to dye deep color, such as, caramel color, dark brow, emerald inexperienced, respberry brown or dark inexperienced, specially, dark green, after you have enough bravery and boldness, you’ll hold this color, and you look therefore ethereal,graceful, a bit cool and outstanding makings and glamour out of the standard. If you have got a neutral skin tone…there’s no obvious undertone in your complexion. each heat and funky tones praise you. you’ll attemt to all or any varieties of color, Hairstyle of body wave and loose deep , at the side of your punk vogue, accentuated the lassie. Say you are a fair-skinned one who needs to settle on a complementary blonde shade. If you have got a cool skin tone, you will need to settle on associate degree icy Pt or pearlescent shade. 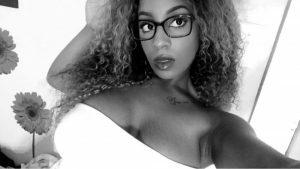 we have a tendency to like honey blonde hair.If you are selecting a putting new hairstyle or color, attempt the style piecemeal to check however it works.